Make your reservations soon to take advantage of these limited time offers. with all Maile & Lehua packages (more). with all Monarch Elite packages (view). with all Lehua packages receive 100 digital images with print release for $250.00 (more). Our Kamaaina package is perfect for couples looking for a simple beach ceremony. Add 100 High-resolution Digital Images (with a print release) to your package for the discounted rate of $250 (normally $275). 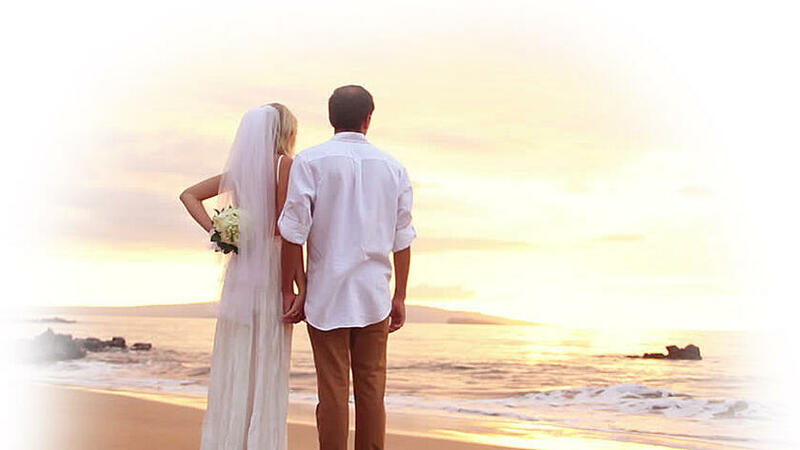 Weddings of Hawaii is here to support you and assist in making this the most wonderful, meaningful day in your lives. They are highly trained to capture the excitement and emotion of the day; your wedding day photos will be treasures for a lifetime. The photo shoot includes the ceremony, formal portraits, journalistic "walking on the beach" and wedding party/group or family photos. Additional photo time may be required for groups over 30. You may order additional photography by the hour if you wish to have photographs taken at a second location, pre-bridal shoot or reception. 12-14 days after the event you will receive an email link providing access to your personalized photo gallery. The gallery will provide you access to download the images (if purchased) and choose the printed images included in your package. Photo orders and digital image purchases must be made within 30 days of your event as photos are no longer available after this date. No credit or compensation is given for photo orders that are not completed within this timeframe. All couples are responsible for shipping fees associated with their desired delivery location. The high-resolution digital images come with a non-commercial print release. 12-14 days after the event you will receive an email link providing access to your personalized photo gallery. The gallery will provide you access to download the high-resolution digital images from the event. All images must be downloaded within 30 days as images will no longer be available after this date. The high-resolution digital images come with a non-commercial print release. 12-14 days after the event you will receive an email link providing access to your personalized photo gallery. The gallery will provide you access to download the hi-resolution digital images from the event. All images must be downloaded within 30 days as images will no longer be available after this date. The high-resolution digital images come with a non-commercial print release. The photobook included in the package will arrive within 30 days. The couple is welcome to select the images for the book or allow the photographer to have creative control over the layout. If the couple decides to choose the images, this may delay the delivery of the book. Each video is a true work of art. Our videographers use the latest, state-of-the-art equipment. Each video is fully edited with special effects, titles, breathtaking footage of Hawaii and music (couple will be provided licensed music to choose from). Family & friends who were unable to attend will experience the entire wedding day events. A treasure you will cherish all of your lives. 12-14 days after the event, 2 links will be provided (via email) to download the files. The first file will be a full-length video of the ceremony. The second is a condensed version of the day's events (highlight video). All files need to be downloaded within 30 days as videos will no longer be available after this date. Due to the extremely large files related to the video, any changes or customizations needs to be submitted in writing no later than four weeks after your service as video files are no longer available after this point. Location permits are required by the State of Hawaii for all events held at public locations. 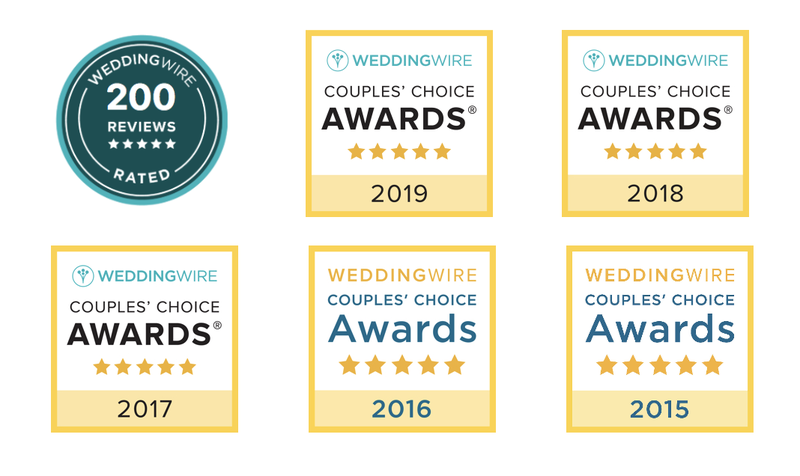 Weddings of Hawaii will acquire the permit for your event from the State of Hawaii; this fee will be added to your final balance ($50 per location). All packages and services are based on ceremony and lodging locations within the Waikiki area. Should you decide to stay or choose a location outside this locality, additional fees will apply. The packages are designed to accommodate parties up to 30. Should your guest count exceed 30, you will be required to have an on-site coordinator attend the service (additional fees apply). On our special day we were lucky enough to have two rainbows over us as we exchanged our vows! It was truly amazing! Thank you Weddings of Hawaii for an unforgettable experience that we will truly treasure everyday!